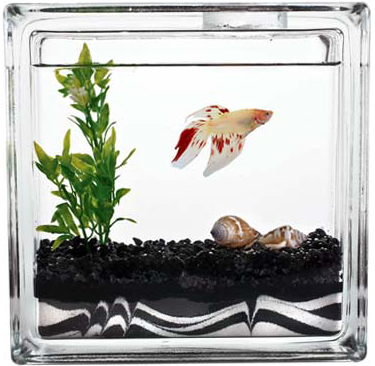 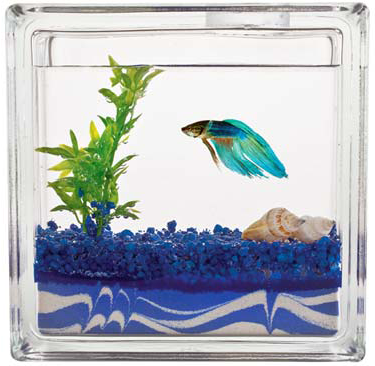 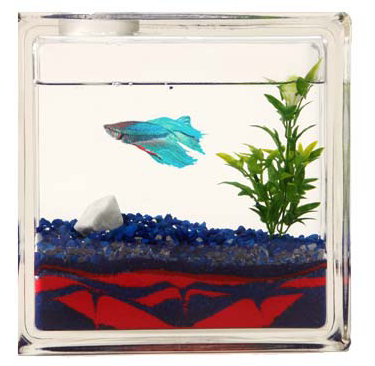 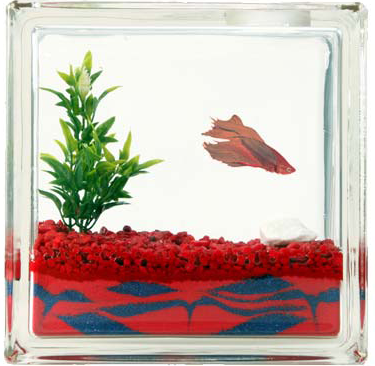 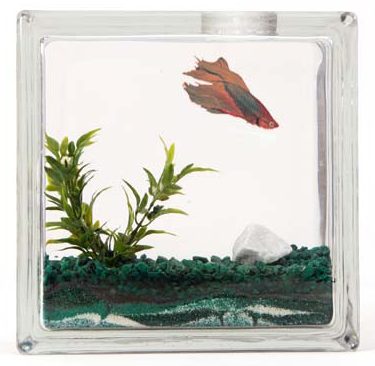 2-Color AQUABLOCK - $27.95 : The AquaBlock.com, As care free as a pet can be! 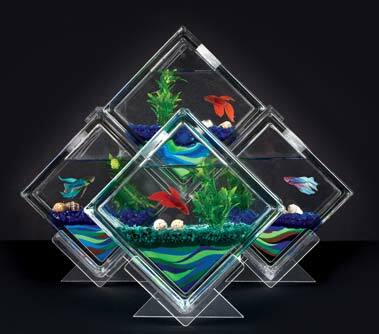 Each portable AQUABLOCK is hand-crafted, and no two aquariums are the same. 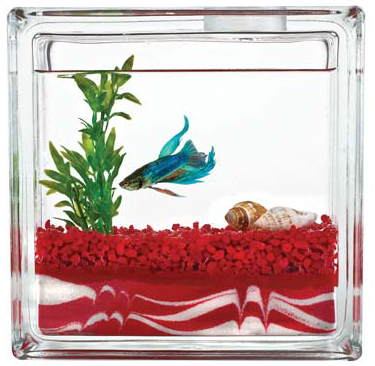 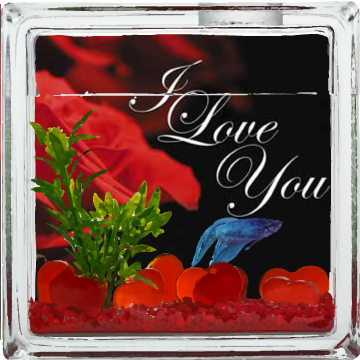 The AQUABLOCK fish tank is constructed of heavy durable glass approximately 8''H x 8''L x 3''W and about 1/4'' thick and are small enough for any table, office or room. 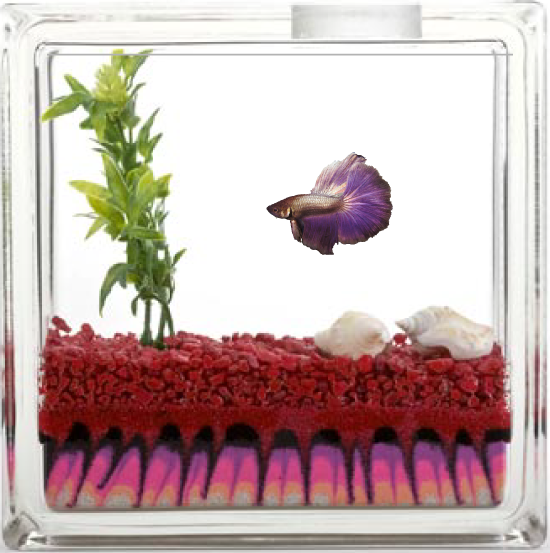 We also offer customizable decals & different decorative color schemes for the base gravel of your tanks! 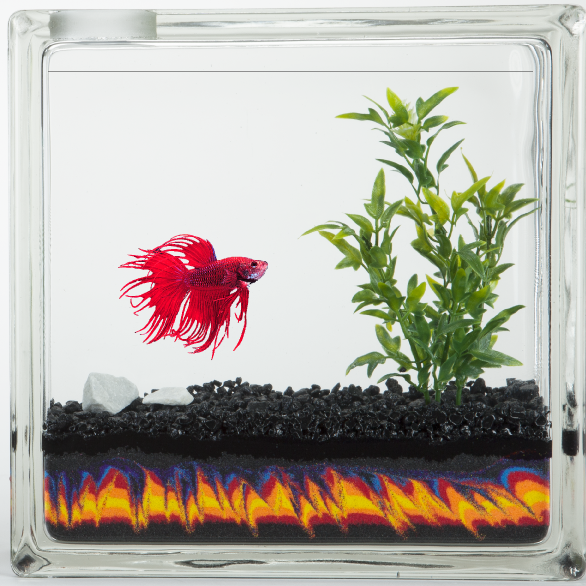 Choose your color scheme below!